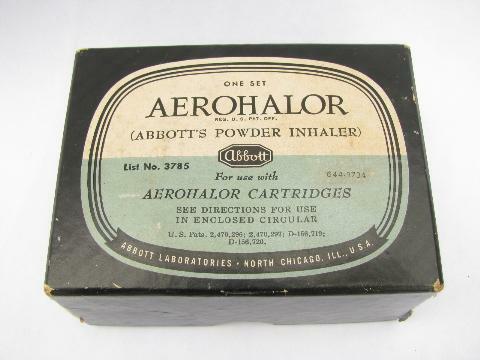 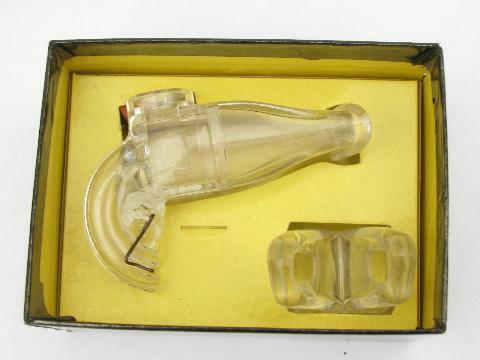 Vintage early 1950s collectible Aerohalor (Abbott's Powder Inhaler) medical inhaler... still with the original box. 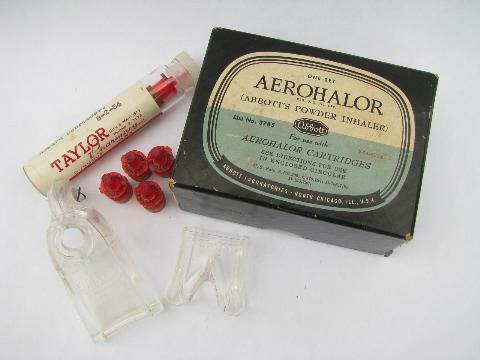 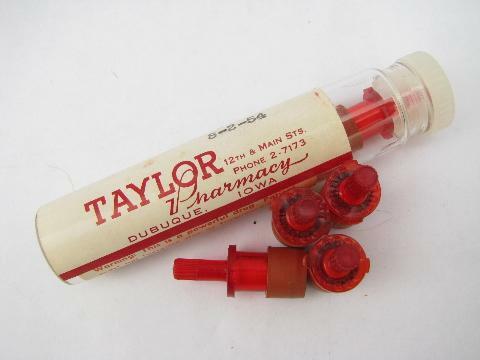 There is also an old collectible medical vial of cartridges dated 1954 that was in the box with the inhaler as it came out of the estate. 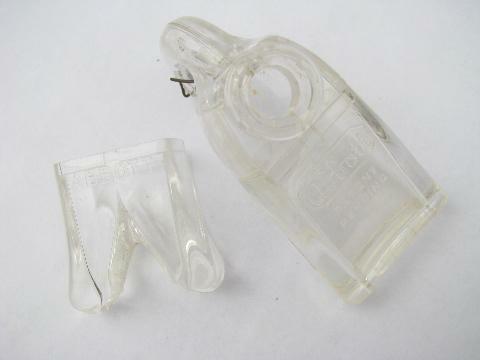 The corners of the box lid are split out.